The Extreme History Project began as a means of making the humanities more fun, interesting and accessible to the general public and as a real means of generating social change. The Project encompasses a variety of events and activities that enhance the public’s understanding of how history has shaped our present and how understanding that legacy can affect the way we behave towards one another. Extreme History believes in setting a Truth Agenda which will work toward eradicating political and social agendas from the traditional historical narratives and pursue a more balanced and honest expression of the past. 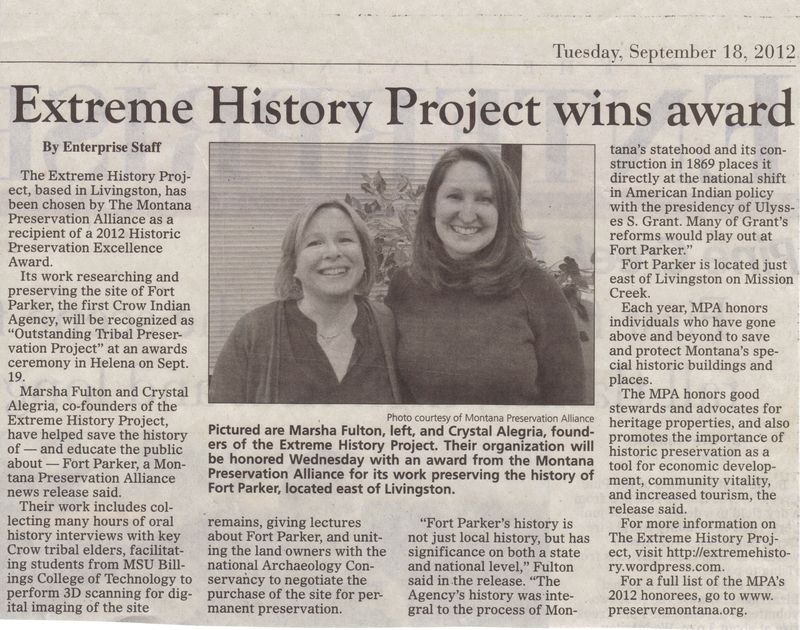 The Extreme History Project is the brainchild of Marsha Fulton and Crystal Alegria. Marsha Fulton brings a variety of experience, skills and interests to the table. As a University Professor, Marsha has taught in both the Anthropology and Art History departments of several universities including Kent State University in Ohio, William Paterson University in New Jersey and the State University of New York at New Paltz. Her museum background includes working in the North American Archaeology Lab at the American Museum of Natural History in New York City and remodeling the Native Cultures area of the Yellowstone Gateway Museum in Livingston, MT. She has also worked at many North American archaeological sites around the country and has developed several archaeology educational programs for K-12 students. Her business experience includes a degree in Marketing as well as 15 years of retail management. She has contributed her marketing skills to several non-profit organizations and specializes in web-based marketing opportunities. She also has a background in both theatrical and interior design. Marsha recently moved to Revere, Massachusetts where she works for us overlooking the historic Revere Beach. She will continue working for Extreme History remotely and who knows, maybe there’s an Extreme History Boston coming in the future! 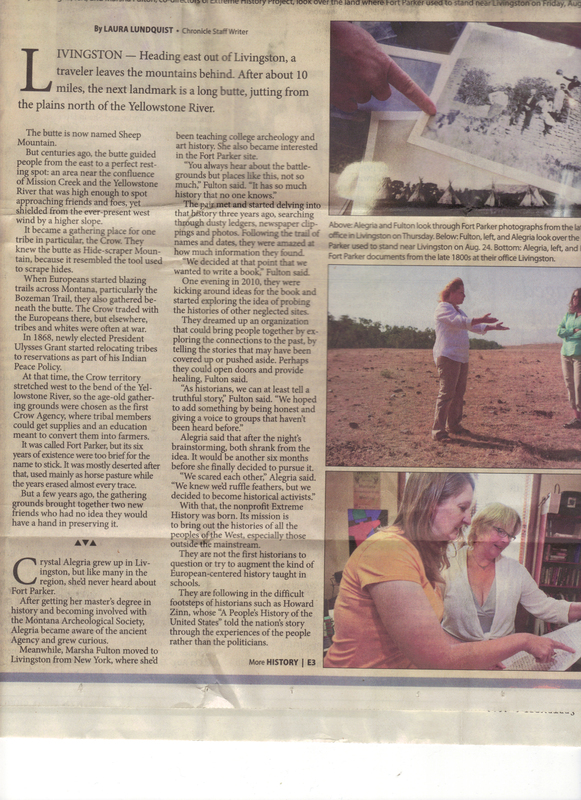 Crystal Alegria has worked in the field of public history and archaeology education for the past twenty years. She has worked for a variety of museums and heritage organizations, always with the goal of bringing history to the public. She co-founded The Extreme History Project in 2012. Her research interests include community history, western social history, the history of place, archaeology education, participatory action research, and public archaeology. Crystal has a B.S. in Anthropology and a M.A. 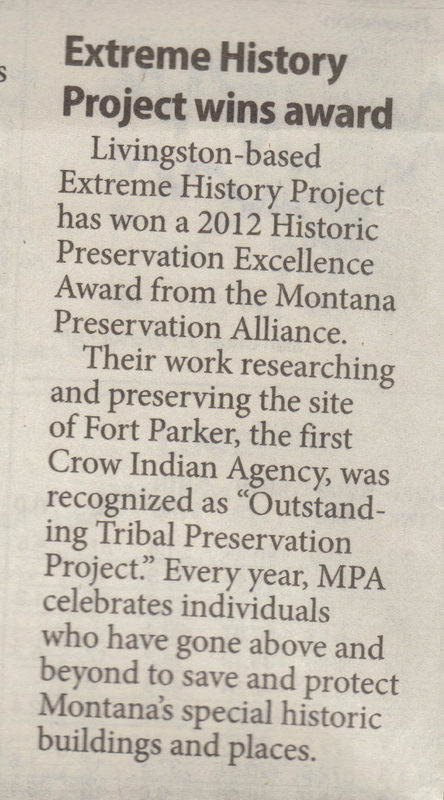 in History from Montana State University. Crystal grew up in Livingston, Montana but now calls Bozeman home. She is lucky to share her journey with husband Larry, and two children Emily and Lawson. Our Awesome Board of Directors! Scott Carpenter has a varied background in cultural resources and multi-disciplinary land use planning extending over 30 years. He has been involved in a number of cultural resources management, planning and environmental research projects and has coordinated and directed numerous projects for private and governmental organizations. Scott has extensive experience in program and project planning, research, compliance with various federal and state environmental regulations and program planning in areas of historic preservation, scenic, wild river, wilderness area, and other legislative designations. He also has extensive and varied experience with evaluation and nomination of prehistoric and historic properties to the National Register of Historic Places. He also possesses vast experience and knowledge with state and federal regulations related to historic preservation, cultural resource protection and environmental impact planning. Scott is the Principal, Senior Archaeologist, Cultural Resource Planner with InterResources Planning in Bozeman, Montana. 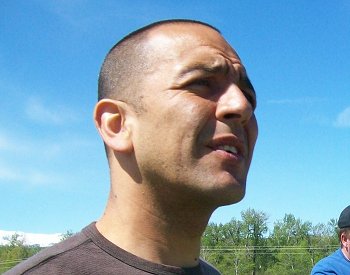 Shane Doyle EdD, is Crow tribal member and educational consultant, who hails from Crow Agency, MT. Along with his educational consultant work in Montana public schools, the National Park Service, and Yellowstone Forever, Shane is currently the Montana Resource Coordinator for the TEDNA-NYCP 2015 program, and an advocate and spokesperson for the Montana Wilderness Association. Shane is also serving as a performer, consultant, and writer for the Mountain Time Arts’ ArtPlace grant, which concludes in 2018. 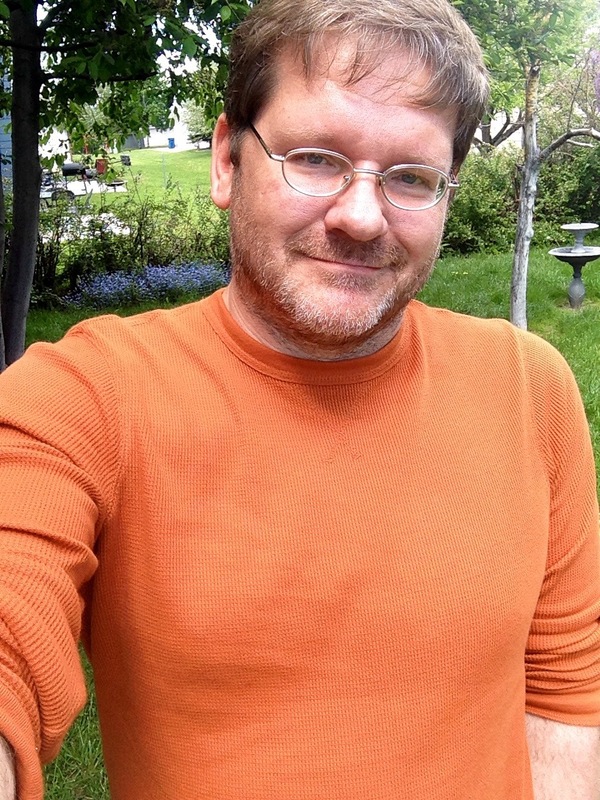 Shane serves on the Montana Council for the Arts, is a member of the Board of Directors for the Bozeman-based Extreme History Project, and recently completed a post-doctoral appointment in genetic research with the University of Copenhagen, Denmark. His recent film credits include PBS Nova’s Great Human Odyssey (2016), and The History Channel’s Mysteries at the Little Big Horn, due to premiere in October of 2017. Shane has been a singer of Plains Indian style music for 29 years, and has 17 years of combined teaching experience – on the Crow Indian Reservation and as a Native American Studies instructor. Shane has focused his life’s work on understanding and articulating the ancient history and contemporary cultural geography of the Northern Plains. He lives in Bozeman with his wife Megkian, and their five children. Nancy Mahoney has a Masters degree in Anthropology from George Washington University, and has studied Archaeology in a doctoral program at Arizona State University, and has participated in archaeological projects in Cyprus, Turkey, Morocco, Arizona, Utah, and Montana. 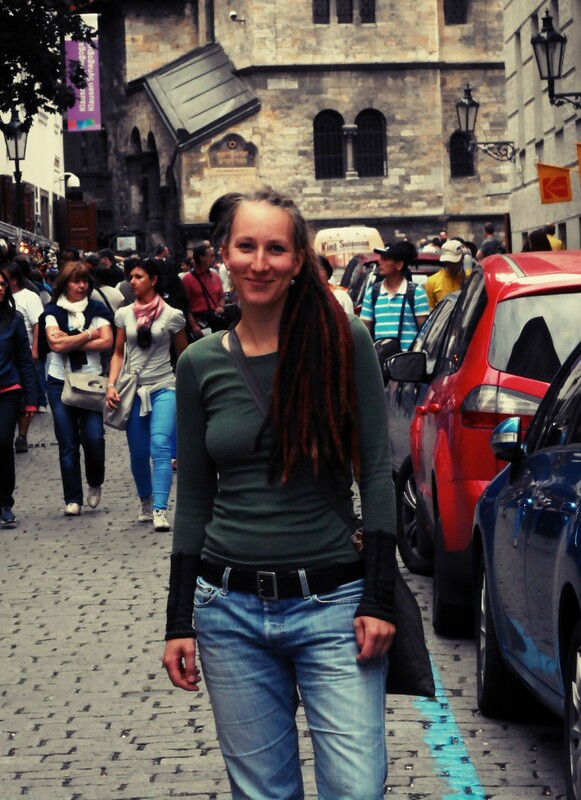 She is currently an Adjunct Instructor in the Department of Sociology and Anthropology at Montana State University, as well as a doctoral candidate in American Studies, and is interested in a wide range of topics in History in Anthropology. Her current research is focused on collaboration and ethical practices involving descendant communities and non-professional stakeholders within the field of North American archaeology. 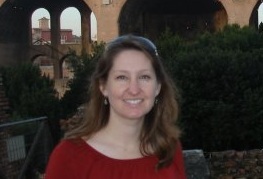 Lesley M. Gilmore is a historic preservation architect and director of CTA’s Historic Preservation Services. 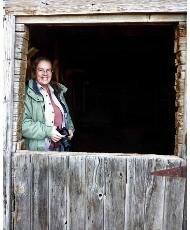 Her personal passion to preserve and reflect on the past lives of our people and places is channeled into her work on historic properties throughout the Rocky Mountain West. She has recently had the pleasure of designing the restorations of the Old Faithful Haynes Photo Shop, the Masonic Temple in Bozeman, and the Canyon Village Lodge Enhancement in Yellowstone National Park. She enjoys archival and oral history research, crawling over buildings to assess them and ascertain the most beneficial treatments, and working with insightful clients to find new life for our heritage treasures. 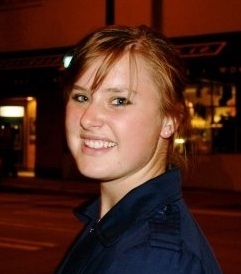 Julia Strehlau Jacobs is a German native who just recently moved to Bozeman. She earned her Bachelor’s degree in American Studies from the University of Leipzig, and her Master’s degree in Anglo-American Literature, Language and Culture from the Martin-Luther-University Halle-Wittenberg in Germany. As a foreign exchange student to MSU she explored courses in the History as well as the Native American Studies departments in 2011/12. She returned to Bozeman in the winter of 2014 to research on the Crow tribe and visited the Crow reservation. American culture and history have always been part of her journey. These became passions and hopefully will develop into a career. Traveling, hanging out with friends and being around family are Julia’s free time activities. She also loves riding her bike, listening to music, and being out in nature. Team Extreme: Our phenomenal volunteers, staff, and interns! Tessa Switzer is an aspiring archaeologist, born and raised right here in the Gallatin Valley. She recently graduated with a B.A. in Anthropology and a minor in Psychology from Pacific Lutheran University in Tacoma, Washington though she often wonders how she evereft the beautiful Big Sky in the first place. In the summer following her 2012 graduation, Tessa enrolled in MSU’s archaeology field school which not only provided her with the fieldwork experience of a prehistoric dig, but introduced her to the MSU and Extreme History communities. She is currently interning/volunteering as a transcriber with the Extreme History Project, helping in the lab at Virginia City, and analyzing artifacts from the Hagen site at MSU with the Museum ofthe Rockies. In her free time, Tessa enjoys skiing, cooking, andfishing but appreciates a good game of pool or foosball with the locals. Originally from North Dakota, Bekah Schields moved to Bozeman to pursue a degree in Anthropology, and recently graduated with minors in History and Women’s Studies. 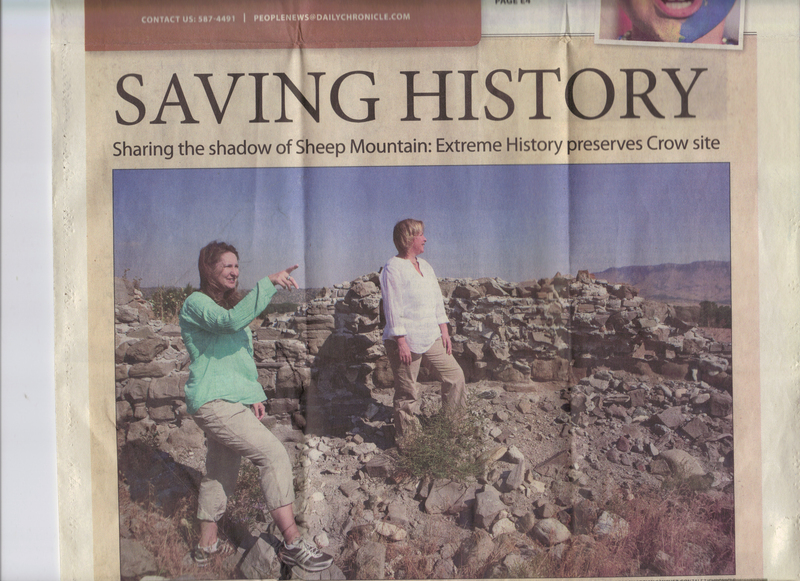 After a participating in a field school excavating a historic mining city block, she fell in love with archaeology and joined the Extreme History Project. Her archaeological interests include the western mining frontier, adaption of agriculture in the Near East, and early state formation. When not excavating, traveling or reading, Bekah can be found in the kitchen, whipping up some dinner to share with her favorite people. John Olson is a current student at Montana State University who is graduating Spring 2016 with a B.A. in Anthropology, focusing on Archaeology, and a minor in GIS. In the summer of 2014 John enrolled and participated in MSU’s summer Field School in Virginia City where he gained valuable skills and knowledge and was introduced to the world of the Extreme History Project. He volunteers for us as our Project Coordinator in charge of working with the speakers involved with the Extreme History Project Lecture Series and is also our GPS/GIS project lead for our Nevada City Cemetery. GIS (Geographic Information System) is a combination of software and hardware used to graphically provide a visual reference of complex information. For Archaeology this can be collecting copious amounts of information at a dig site (which can result in thousands and thousands of individual pieces of information) to create a picture of where certain artifacts, ecofacts or features were located in time and space in relation to one another. With this information we might be able to detect previously undiscovered patterns or connections that could radically alter how we perceive a certain site or even challenge what we know, or think we know, about the past and humanity itself. In his “spare” time, John enjoys spending time with his family, friends, and his dog Jaxom. He is also a huge sci-fi/fantasy geek and has a strong affinity with dragons. Megan Donoghue came to history after a brief dalliance as a biology major and never looked back. After founding the UMass Lowell History Club and graduating with a degree in History, Political Science, and Spanish, she bounced between freelance research gigs, Boston-area nonprofits, and customer service jobs to feed her camping and bike touring habits. She eventually landed in Salem, Massachusetts and fell in love with its rich history. 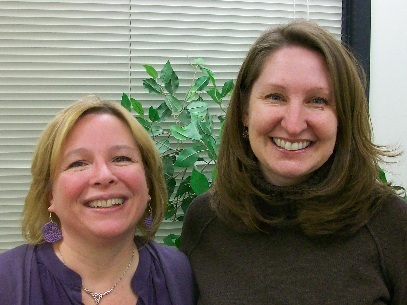 After finding work in the local historical tourism industry, a chance meeting led to her introduction to Marsha and lo! The XHP found a home on the East Coast. She enjoys being outside with her daughter in all weather, bike commuting, and reading all the history books. History isn’t pretty…but by recognizing its ugliness; its pain; its dirtiness; its shame, we can find a new way of reaching out to each other in tolerance, acceptance and unity. – Marsha Fulton, Co-Folunder, The Extreme History Project. We, the Historical Activists, are committed to bringing cultures together through dialogue, history, archaeology, stories or ANY MEANS NECESSARY ; Eradicating ignorance and promoting unity through education and interaction; connecting people with places and objects that express the HISTORICAL MOMENT; Exploring and creating new avenues of transmitting knowledge; Actively engaging in political / social REVOLUTIONARY PARADIGM SHIFTS; Committing RANDOM ACTS OF HISTORY. •To examine historical narratives from multiple voices. •To view historical narratives through multiple lenses. •To provide new facts that revise past fallacies based on certain agendas. •To differentiate fact from legend in historical accounts. •To expose lesser known historical narratives which shift the understanding of the historical era or event to a more balanced perspective. •To promote historical writings that follow the TRUTH AGENDA. Have we inspired you? Support our work by signing up for our mailing list or sending us a tax-deductable donation. 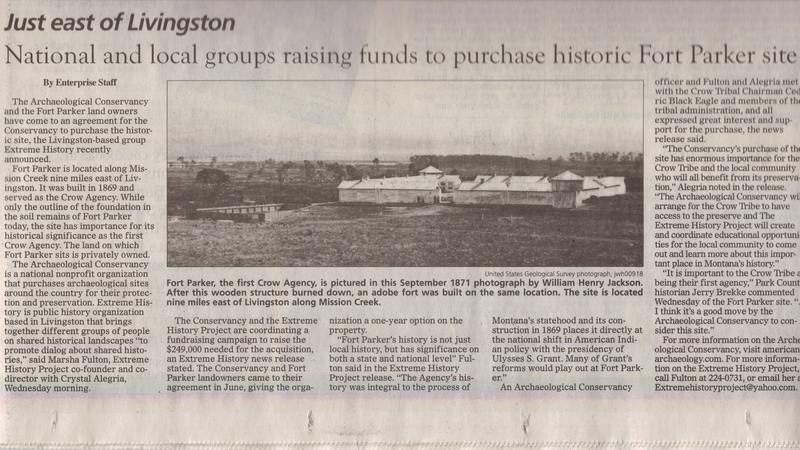 Help us change the way we think about history! Thanks!! In your opening commemts (About Us) you offer to work towards a truth agenda to eradicate political and social agendas.Having recently talked at length with an American relative, I was astounded to realise that there is a huge religeous agenda that rigidly opposes the archaeological record where it conflicts with the King James version of the Bible. This significant proportion of the American population are actively teaching people that the current archaeological record put forward by today’s archaeologists is utterly inaccurate and should be ignored. You make a good point, Andy. Though I’m not sure what groups you are specifically referring to, I have heard this argument before. Our work is to counteract such mis-information in order to insure that there is a voice of reason in the discussion. Luckily, we have not had to come up against such ideas, but we will be happy to set the record straight if we do. Well, I believe it was Marx who said that the telling of history belongs to the victor, or something like that- the point being that the history we are told as “truth” is always from the point of view of those in power. As Andy indicates in his post, there is significant opposition from those in power to any recounting of the past that conflicts with their agenda. It’s good to see a committed group of inidviduals from diverse backgrounds interpret the past from a more balanced perspective. Kudos! Any time we speak truth to power we become stronger and more united. My hope is that truely understanding our past will help shape our future actions in a way that benefits all of homo sapiens (regardless of arbitrary considerations such as race or ethnicity) and our planet as well. Thank you and we whole-heartedly agree! In the past, knowledge has been held in a tight grip by those in power and often used against us. We are blessed, though, to live in a time when the flood gates of information, commumication and knowledge have opened and are fluidly transferred to one another. It is our responsibility to insure that information is authentic and pure to insure that we all are informed about our past present and future!